Parent First Aid is aimed at any new or existing parent who wants to learn the basic first aid skills for infants and children. 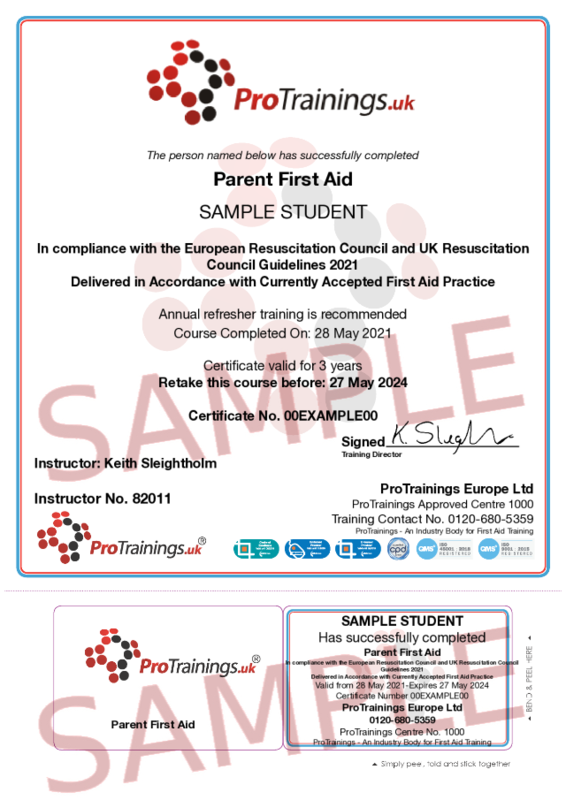 We also have a family first aid course which covers the adults as well as an online or classroom course. This course comes with 3.0 hours of CPD, although the time to complete the course online may be less than this.